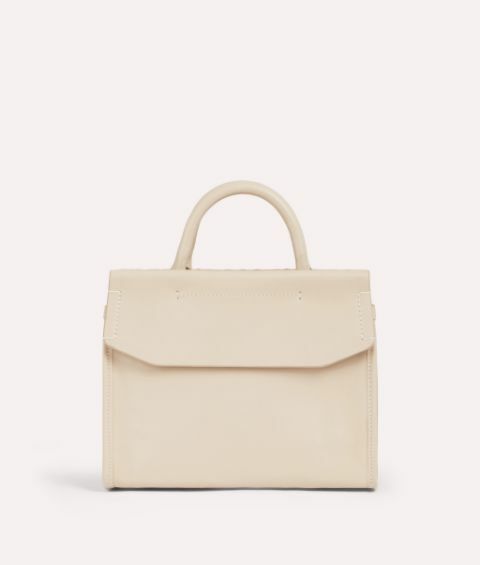 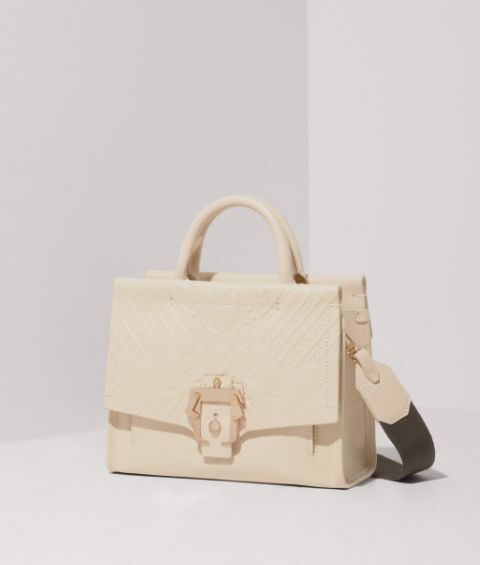 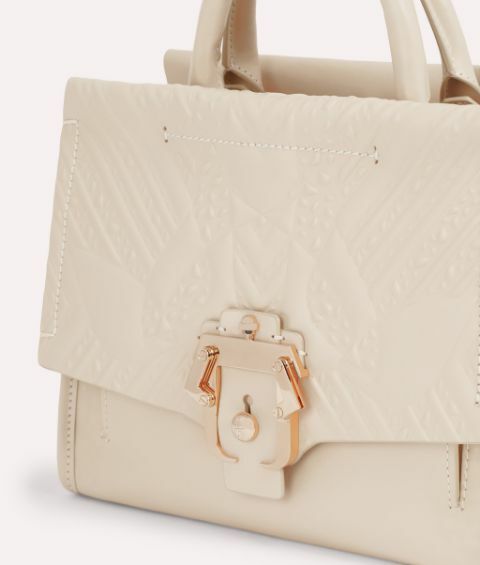 The delicate shell-beige leather of this covetable Manu Small is embossed with the free-spirited Petals design – an unmistakable Paula Cademartori calling card. 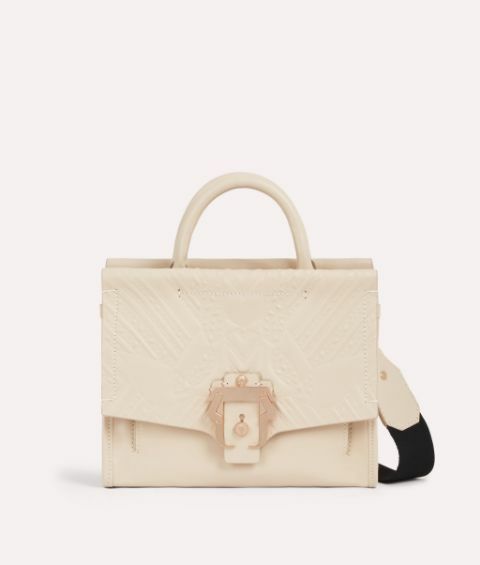 This subtle piece is emboldened by a jet-black grosgrain panel at the shoulder strap which is detachable so you can wear it as a clutch or across the body. 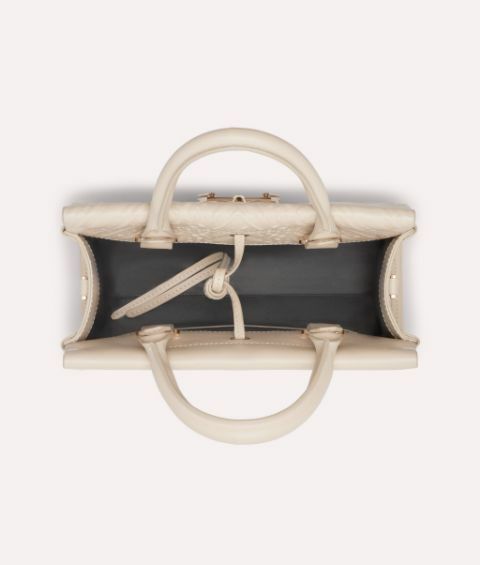 The warm tone is beautifully complimented by metal hardware and the signature buckle adds a jolt of attitude.